Norwalk, Conn. — Learning has been a hands-on experience for a dozen incoming freshmen enrolled in a summer automotive technology course at Brien McMahon High School. 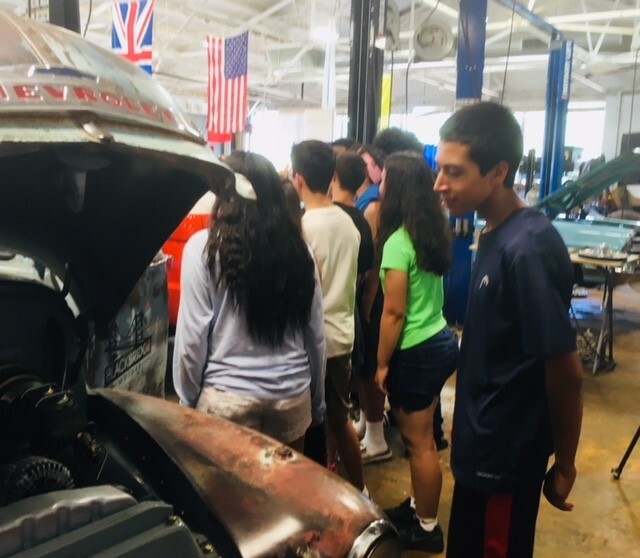 New England Auto Museum partnered with BMHS to offer the summer enrichment course, which began July 3 and wrapped up on July 25. The course is part of an overall high school transition program for arriving freshmen, provided by the Carver Foundation and Norwalk Public Schools. 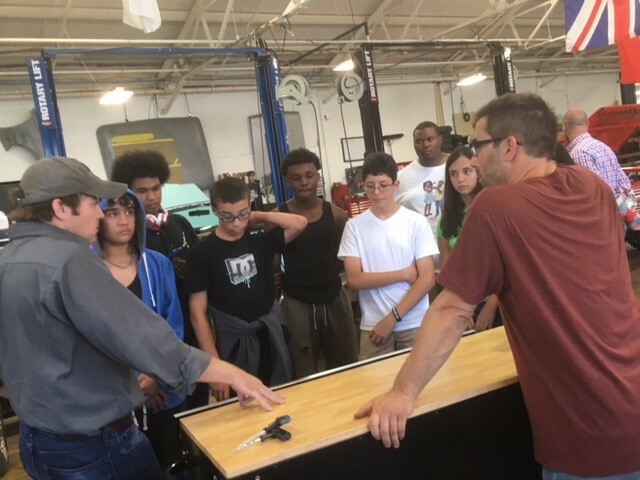 The classes are co-sponsored by Norwalk-based Black Bridge Motors, and conducted by Black Bridge owner Scott Gilbert and chief mechanic Stan Diguiseppi Jr. in the former auto shop classroom at BMHS. Students enrolled in the four-week course have met three times a week. Each student has assembled a plastic, scale model V-8 engine — provided by NEAM — and learned about the engine block, crankshaft, heads, pistons and other components. Coursework is supplemented by guest speakers from the automobile business talking to the students about career paths and job opportunities. 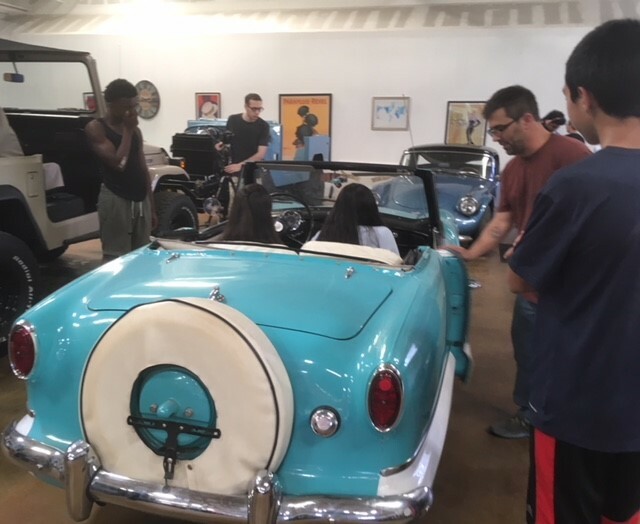 The students recently visited Black Bridge Motors’ shop in South Norwalk to see actual cars under restoration. Before completing the course, each student will have given a presentation showing what he or she has learned. On a recent afternoon, they stepped outside of the classroom of BMHS to view a sleek dark blue 1965 Shelby Daytona replica owned by Mark Schlegel of Norwalk. Schlegel, president of Rallye For Pancreatic Cancer, Inc., walked them through the origin of the classic race car designed to compete with European Ferraris. “The whole concept of the car was to beat Ferrari at their own game (on) the longer tracks of Europe where they were much faster instead of the short courses that were here in America,” Schlegel said. And that the Shelby Daytona did, winning the International Automobile Federation’s World SportsCar Championship in 1965. Mikhail Moss, a student in the summer enrichment course, admired the car’s colors, lines and rear spoiler after stepping out of the driver’s seat. The summer course has given him and the other students a formal understanding of how automobiles work. BMHS Principal Scott Hurwitz said the school hadn’t used its auto shop for automotive learning for at least 15 years. That now has changed. He plans to bring the course back as part of next year’s summer enrichment program while looking for opportunities to expand automotive learning into the regular school year. Black Bridge Motors and New England Auto Museum will be available to provide help. The museum is eyeing several Norwalk locations, including part of the large office building at 25 Van Zant St., as its future home.